To create an AHS logo to be used on products at the new AHS CafePress Shop. For further information regarding the AHS CafePress Shop, please see the associated announcement. • Files must be in PNG (preferred) or JPEG format and may not exceed 4 MB or 7 MB, respectively. • The maximum size for images is 800x800 pixels. • NO vulgar language or pictures. • Entries must follow all other posting rules. • To enter PM (private message) your image to "AHS Staff". Do not send your entry to any other staff email or PM address. • Entries must be as anonymous as possible. DO NOT post your entry on any sites or forums until after the contest is over. • The deadline for submissions is June 27 (Sunday) at midnight. • The entries will be judged by the AHS initiates in a poll. • Each AHS member is allowed to place one vote only. • The voting will begin on or about July 5 (date subject to change). • In the event of a tie, another poll will be made between the tied entries to decide. • There will be only one winner. • The voting should be based on the merits of the image only, and not on the person who made it. Entrants should NOT identify their work until after the voting is ended. If you try to influence another person's vote by disclosing the identity of any entry you will be ineligible to vote in this contest, and if the rule breaker is a participant their entry will be disqualified. • AHS staff may enter. • We regret that any late entries will not be accepted. • DO NOT CHEAT. The AHS staff reserves the right to nullify any vote and/or entry that we consider suspicious for any reason. • AHS's decision shall be final and appeals shall not be entertained. Last edited by AHS Staff; 24th April 2010 at 09:45 AM. I have a question, though: must the logo be made with Photoshop and stuff, or can it be hand drawn, for example? This sounds fun but hard since it challenges us not to use Ayu related things especially the "A". 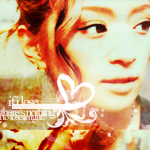 however, if we could draw Ayu without using any picture/video not shot by us as reference, that is accepted, correct? Cool. I won't be participating, but I look forward to seeing everybody's entries! ^_^ Good luck, everybody! This may sound stupid, but is there a current logo? You can make it any way you want. You could take photos of stuff and collage them, draw, paint...it doesn't need to be done with Photoshop. I'd be very excited to see entries that don't use traditional Photoshop. I know, it's a heck of a challenge! Cafepress is so strict. But I'm super confident in everyone. Hm, I'm not too sure on that. It'd really be up to Cafepress. I don't think it'd be a problem, but you/we'd really have to check with their rules. I'm not sure how picky they are. LOL. Yes? Is that not good enough? I mean, people are going to be owning stuff with your logo on it, and everyone all over the forum's going to know of it. This of it like designing a new layout. If you won a layout challenge the prize is that we'd use it. No, we don't have one. We've had the splash pages, but they're not really logos. yes so excited for this! @sugarbasil: Oh, I see! Thanks! I'm excited to do this~! Oh whatever happened to the other one? Aw, I was thinking I was gonna try and make something cool with the A logo! Dang it! Lol. You are correct!!!! !this is not good enogh! I see your plan!! !You are not so smart.I am going to SLAVEover my computer for hours in photoshop, putting my life on hold, and pouring out my life and SOUL to make perfect entryin a contest (which has 1/100 chance to win!!) and the prize is for YOU to take my hard earned work & use it for ur own advantage for FREE? ?All I get is a thank U& the feeling of accomplishment?? ?what disrespect! !This is more like stealing!!slavery! It is like being a ghost writer!! except even they get paid!! !take my work, and all i get is a thank you? I'm sorry but I cannot take this disrespect!! i hope some poor soul is DESPERATE enough for the tiny bit of attention they will receve from this contest! !You don't eevn offer me a coffee mug with MY logo on it?? Last edited by Next Leveler²; 25th April 2010 at 03:58 PM.